Bruce O’Connell grew up in hotels, which his parents operated in Detroit and Tampa. But unlike the famous Plaza-dwelling literary character, Eloise, his childhood wasn’t all fun and adventure. In fact, it was hard work. “I had to work before school, after school, on weekends,” O’Connell recalls. “I was definitely fed up with the hotel industry when I finished high school, and I didn’t think I wanted any part of it.” So he headed to college to pursue a degree in social work, but ultimately realized he had hospitality “in my blood” and transferred to Cornell’s School of Hotel Administration. 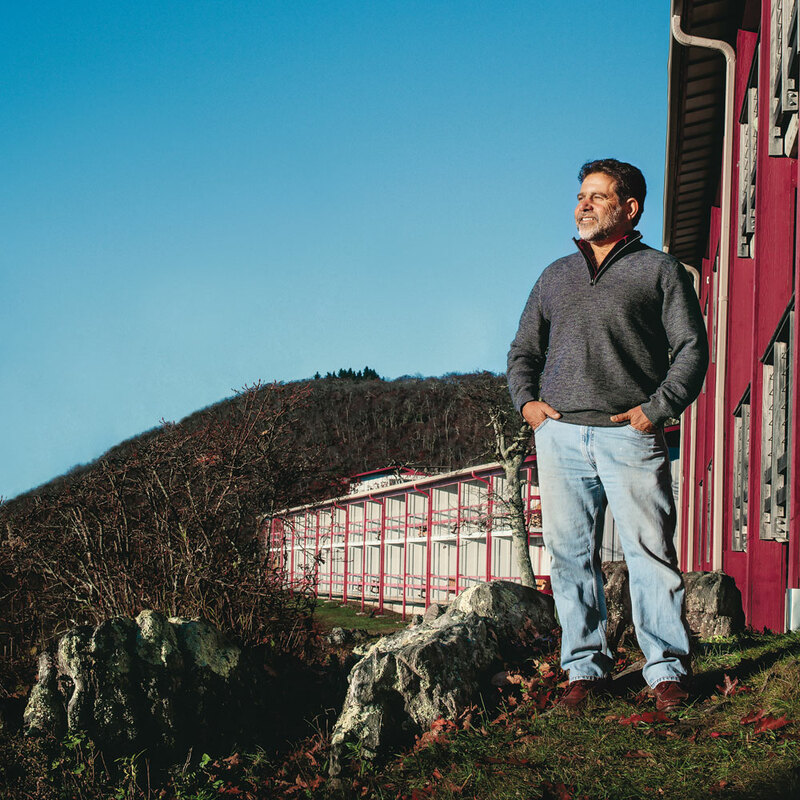 After graduation, he began working for Hilton in Baltimore, but a fateful call from his parents changed his future: They’d seen an ad seeking operators for the quaint, seasonal Pisgah Inn on the Blue Ridge Parkway and asked him to take a look. O’Connell signed on reluctantly, agreeing only to help for the first season in 1979 and promising to leave after that. And so he did, working at a ski resort for the winter. But he came back the next spring, and the next. After his father passed away in ’85, he transitioned to managing the inn full time. As the inn’s concessionaire, O’Connell has won contracts to keep running the place until 2024; swapped the restaurant’s canned food for quality, local fare; and implemented numerous green upgrades—from solar panels to tankless water heaters—while adding amenities like Wi-Fi. The inn gets rave reviews and was voted the Best National Park Lodge in the country by the readers of USA Today in 2015.